My Todo List Black - Flower Todo List - To Do List Planner - Daily Planner - Viviana Grunert | DOWNLOAD ISTANTANEO! Organize your purchases with My ToDo List in black version, and write your daily and weekly targets. If you are a very busy woman like me, taken from the house, from the family and from a thousand daily jobs, then you already know that time is precious and along these years I understood how a great time management really saved my life. Since my blog "Dettagli di Stile" has been created I have always thought about my own line for the home, but already having the Blog and daily publishing my articles on social media brought me to understand that what I was doing was actually a 'real job'. My organization and time management allowed me to do it without wasting time. On the contrary, people around me constantly asked me how I was able to do everything. Hence the idea of ​​sharing my "Flower Todo List", to have more time for yourself and for your family with the energy and beauty of the Flowers! Everything was born from my passion for the house. As an interior designer I have always helped customers to make their home a dream, unique and personalized place where to live. In the same way I have always given my best to take care of my house and everything that goes around it. From my first years as an entrepreneur I studied time management, I worked to get my targets, to be focused and I built a Todo List system. Without it, I would have never been able to organize myself. When my daughter was born and I had to restructure my company and my work according to my priority, Millionaire magazine dedicated an article about me: "5 secrets of a Top Manager from home". Year by year I created a series of tailor-made lists for myself, dealing my various roles, from entrepreneur, mother and woman with the total management of the house and the needs of the family. There was an element linking all these lists: flowers. Flowers are the identifying element that has always distinguished my life and my work. I use them very much at home, I recommend them to my clients and especially when I decided to launch my Blog and my online Brand I chose flowers as graphic element. Afterwards I created the Flower Todo List, which will help you to manage your time in a better way and that will guide you to achieve all your goals. 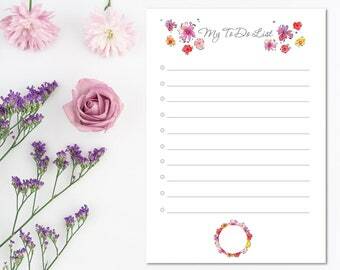 My Todo List Silver - Flower Todo List - To Do List Planner - Daily Planner | INSTANT DOWNLOAD! 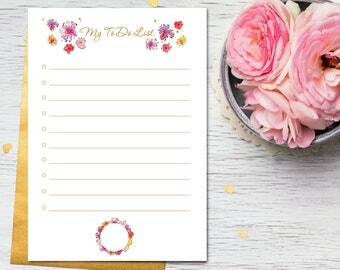 My Todo List Gold - Flower Todo List - To Do List Planner - Daily Planner | INSTANT DOWNLOAD! Project Planner Silver - Flower Todo List - To Do List Planner - Daily Planner | INSTANT DOWNLOAD! 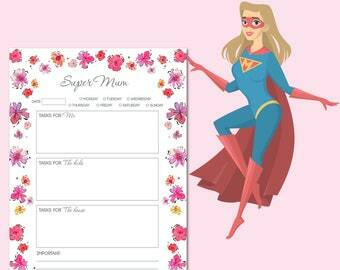 Super Mum Todo List Silver - Flower Todo List - To Do List Planner - Daily Planner | INSTANT DOWNLOAD! 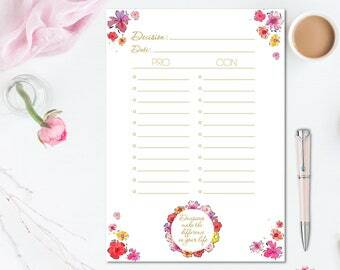 Super Mum Todo List Gold - Flower Todo List - To Do List Planner - Daily Planner | INSTANT DOWNLOAD! 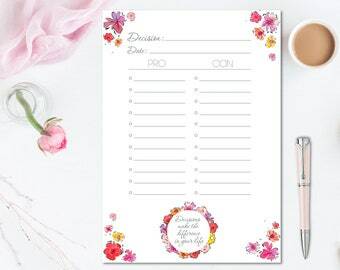 Decision Planner Silver - Flower Todo List - To Do List Planner - Daily Planner | INSTANT DOWNLOAD! 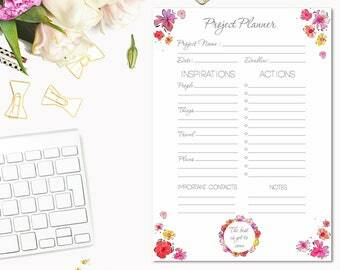 Project Planner Gold - Flower Todo List - To Do List Planner - Daily Planner | INSTANT DOWNLOAD! Decision Planner Gold - Flower Todo List - To Do List Planner - Daily Planner | INSTANT DOWNLOAD! Trovo che le todo list siano il metodo più efficace per gestire le mille cose da fare. Ho sempre usato dei software o il calendario del computer. Ma in certi casi carta e penna non si battono! E questa todo a fiori viene molto bene quando la stampi. My Todo List Black - Flower Todo List - To Do List Planner - Agenda Giornaliera - Daily Planner | DOWNLOAD ISTANTANEO! 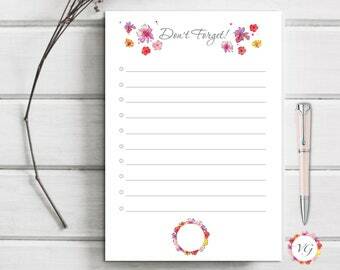 Leave with Style SILVER - Flower Todo List - Organize your suitcase | INSTANT DOWNLOAD! 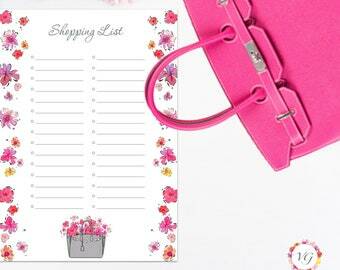 Shopping List Gold - Flower Todo List - Wish List - Shopping Organizer - Shopping Planner | DOWNLOAD ISTANTANEO! My Shopping List | DOWNLOAD ISTANTANEO! Supermarket List - Flower Todo List - Wish List - Shopping Organizer - Shopping Planner | INSTANT DOWNLOAD!! Shopping List Silver - Flower Todo List - Wish List - Shopping Organizer - Shopping Planner | INSTANT DOWNLOAD!! 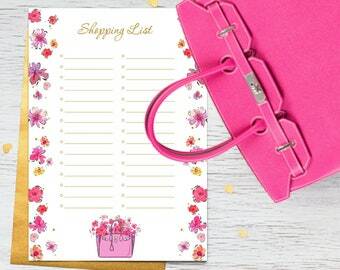 Shopping List Gold - Flower Todo List - Wish List - Shopping Organizer - Shopping Planner | INSTANT DOWNLOAD! 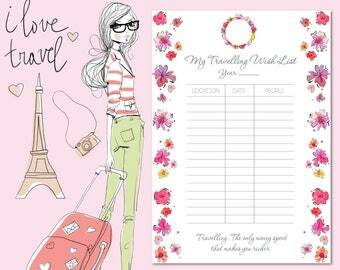 Travelling Wish List SILVER - Flower Todo List - To Do List for Travel - Travel Planner | INSTANT DOWNLOAD! Travelling Wish List GOLD - Flower Todo List - To Do List for Travel - Travel Planner | INSTANT DOWNLOAD! 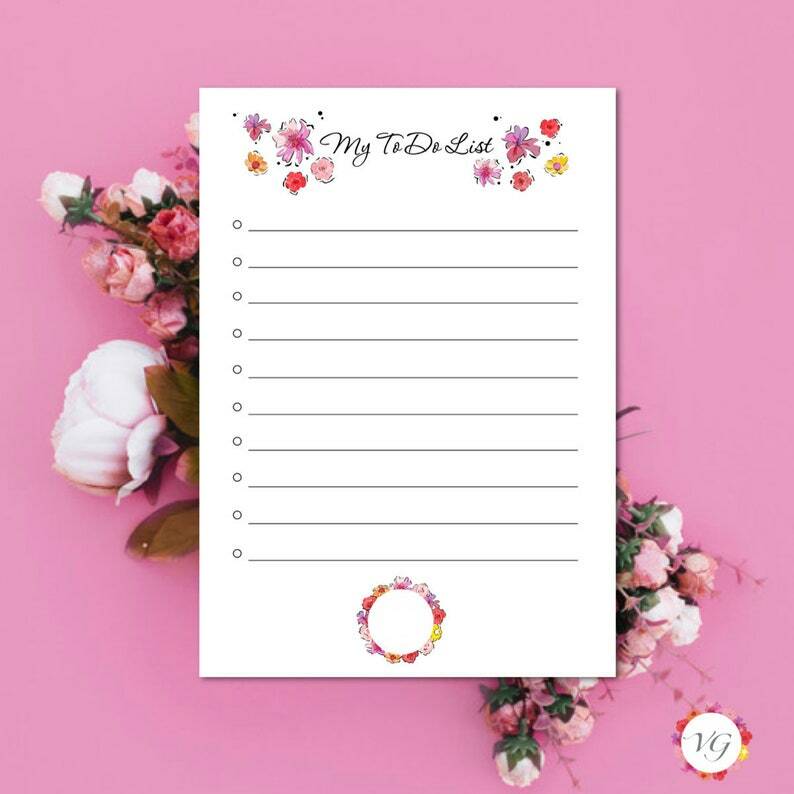 Don't Forget List - Flower Todo List - Wish List - Shopping Organizer - Shopping Planner | INSTANT DOWNLOAD!